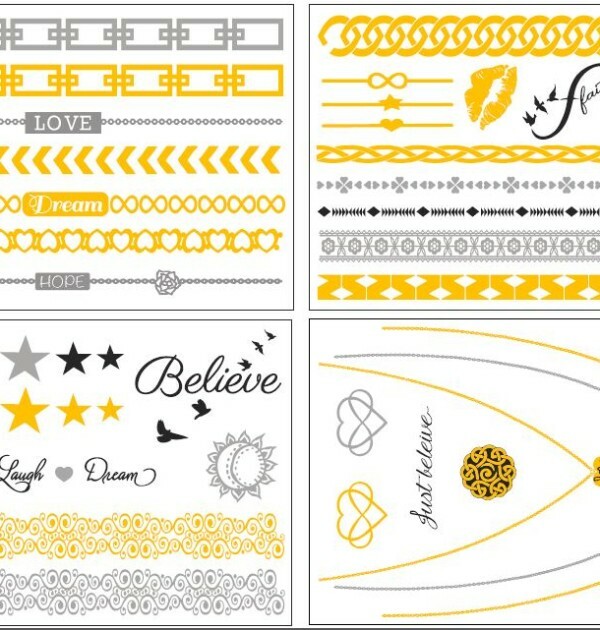 Love, Dream, Hope, Faith & Strength — Bling Tattoos Mantra Dream Collection has 4 sheets of Mantra Inspired super cool bling. This collection contains lots of bracelets and necklaces, a dream catcher, stars and hearts. Hot New Trend that Everyone is Talking About! Temporary Jewelry Metallic Tattoos. 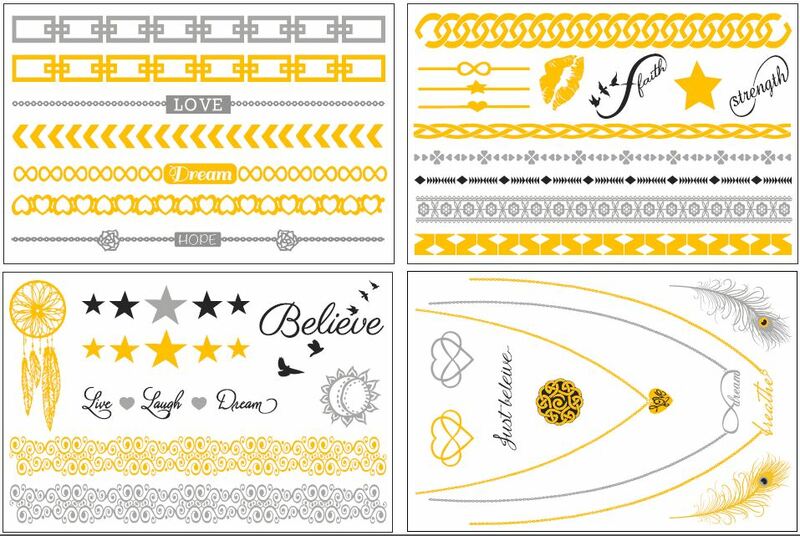 Jewelry Inspired Temporary Gold & Silver Metallic tattoos. 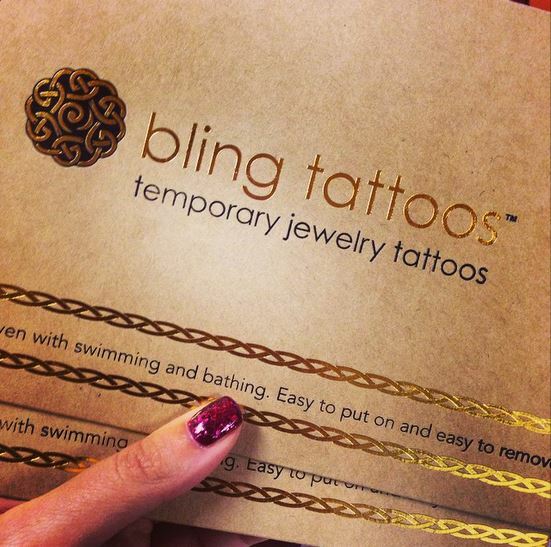 Mix & Match your Bling Tatts for a hot new look and then show them off at the beach or even wear them while swimming. For a super cool totally blinged out look, pair your bling tattoos with some real jewelry and you are sure to gets lots of attention! Tattoos last for 4 – 6 Days.